December is just round the corner, which means we’re only 4 Mondays away from Christmas. Are you feeling in the festive mood yet? If not, these events will definitely help you get into the Christmas spirit! Time to put on your Christmas hats and put up that Christmas tree! If you’re a fan of Disney’s Frozen, then we have news for you. 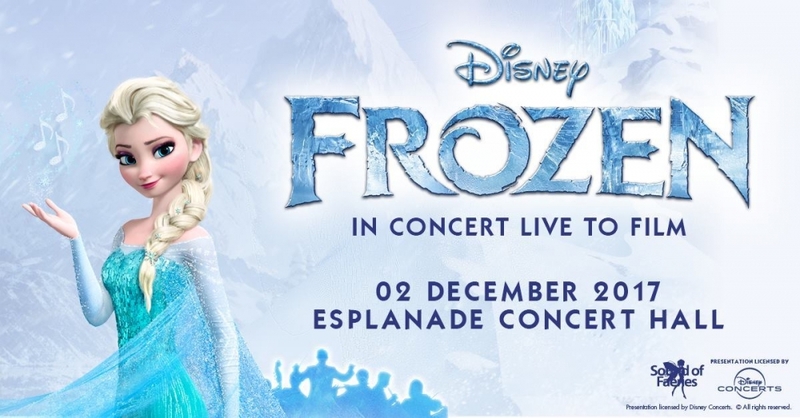 Disney In Concert: Frozen will be coming to the Esplanade on 2 December 2017! Now you can relive the movie experience with a live orchestra and choir performing the music while you enjoy the film on a giant screen! More than 70 live orchestra musicians and choir singers will be performing to bring the iconic ‘Frozen’ soundtrack to live. The combination of the orchestra, choir and the acoustics of the venue will elevate your ‘Frozen’ movie experience to the next level. Ticket prices range from $75 to $149 and can be purchased here. Fans of ‘Frozen’ cannot miss this! 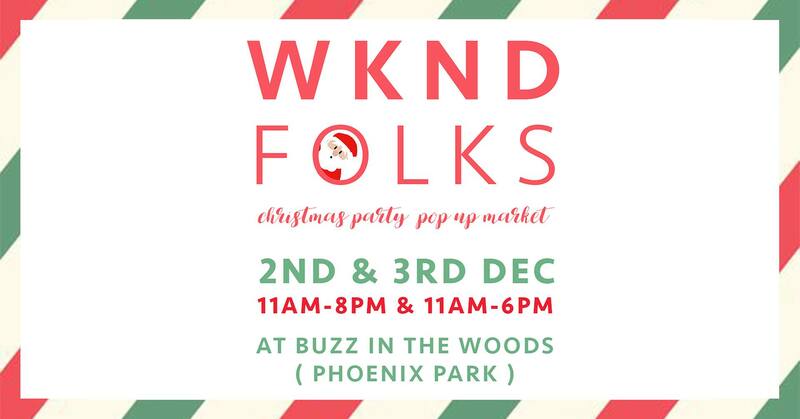 WKND FOLKS is launching a Christmas pop-up market at Buzz In The Woods on 2 December 2017. The pop-up market will feature curated retail booths from 24 exclusive vendors. Visitors can also try their hands at jewelry-making, flower arrangement, Christmas card-making, and earring-making at any one of the 3 Christmas workshops that are available at the market. There’s also a bouncy castle for the kids while the adults can have their hands painted at the Henna booth or enjoy some artisanal ice cream from KOOKS Creamery. There will also be a Best Dressed Dogs Contest held at the market, so bring your best dressed puppers! 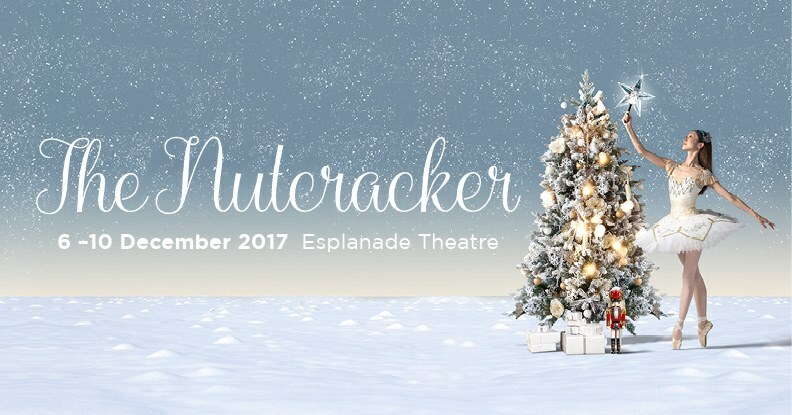 This December, be enchanted by Singapore Dance Theatre’s performance of the ballet classic, The Nutcracker at the Esplanade Theatre. Join young Clara on her adventures as her Nutcracker doll comes alive and transforms into a Prince. The Nutcracker is based on a story by E.T.A Hoffmann and features additional choreography by the Singapore Dance Theatre. With intricate costumes and stunning sets by local designer Aaron Yap, be sure to catch this ballet classic performed by the Singapore Dance Theatre, set to the iconic tunes of Peter Ilyich Tchaikovsky. Ticket prices range from $35 to $75 and can be purchased here. 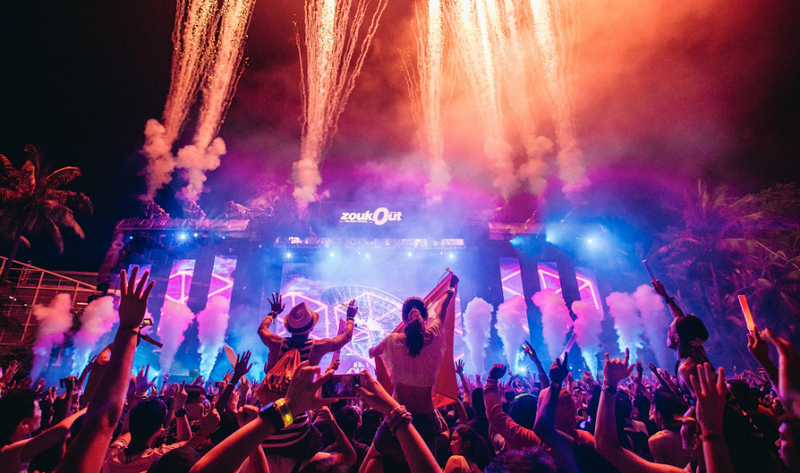 Happening from 8 – 9 December, this marks ZoukOut’s 17th year, and you can bet the party, the acts, and the music will be hotter than ever. In addition to the music, the organisers will also be providing a more immersive experience for attendees, with an added focus on updating the food village amongst other elements of the 2-day event. Tickets to ZoukOut are already on sale on ZoukOut’s website. Phase 3 tickets are still available, and are going at $228 for a 2-day pass, and $138 and $148 for a 1-day pass for day one and day two respectively. VIP tickets for both days are still available, with day one and day two tickets going at $228 and $238 respectively. 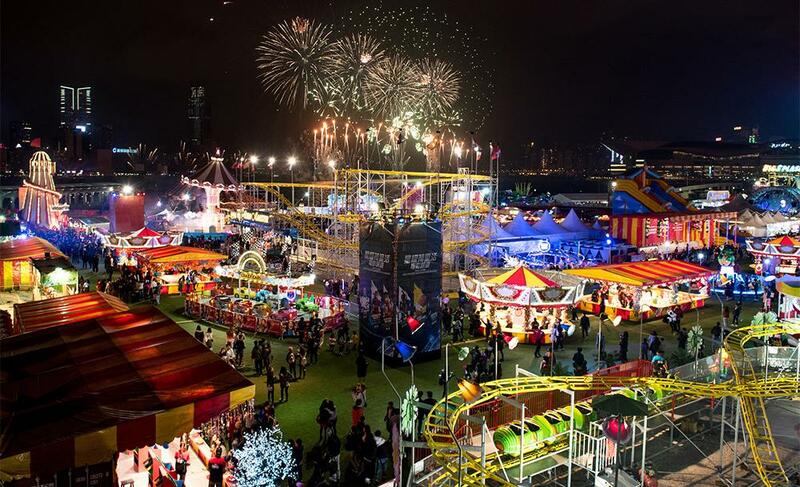 Open from 15 December 2017- 1 April 2018, the Prudential Marina Bay Carnival is slated to be Singapore’s biggest carnival, occupying a sprawling 25,000 sq metre area. It’ll feature thrill rides, carnival games, and delicious fairground food, among other tantalizing treats. To add to all the good fun going around, there will also be an eclectic collective of youth bands and DJ performances, ventriloquism acts, and carolling groups! 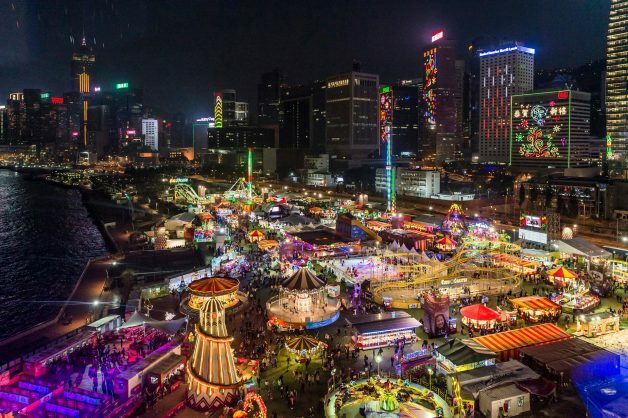 With music from home-grown musicians Falling Feathers, Kexin Tay, TheLionCityBoy, and Jasmine Sokko, there won’t be a dull moment while you’re at the fair. Open daily from 4pm to 11pm (except Christmas and New Year’s Eve, when it will start from 3pm), admission to the carnival is completely free! To get yourself credit for rides and games, you can purchase them online beforehand or while you’re on-site. With so many things to do – and plush toys to be won! – you’re in for a hell of a good time at this fair! 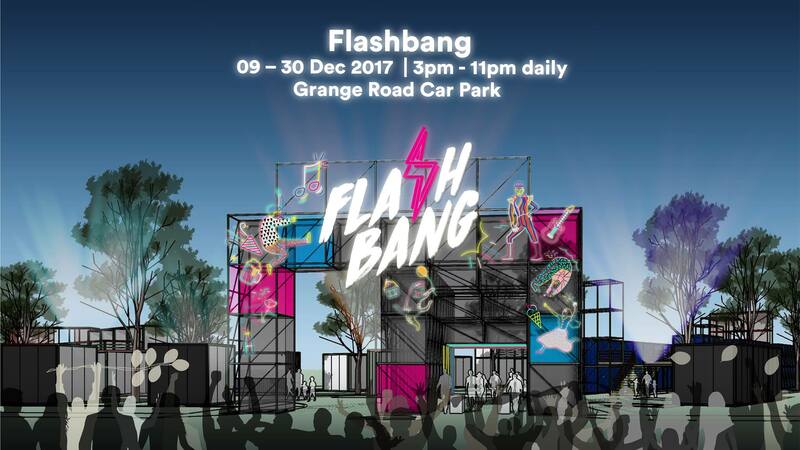 From 9 – 30 December, the open-air carpark at Grange Road will be host to Singapore’s first and largest creative retail playground, Flashbang Singapore! Flashbang Singapore will feature well-curated food and beverages, a retail market, neon light art installations, interactive exhibitions, live music performances, creative workshops, games and more! The event will have 2 different sets of programmes. The activities in the day will be more family-friendly. Activities will include local crafts workshops, gift-making stations, photobooths, interactive installations, 120 F&B and retail stores and even virtual reality installations! For those going at night, you can expect light tunnels, walkways and sculptures designed by local artists, classic vintage arcade games, and even a Christmas Eve countdown! The 80s are back again! 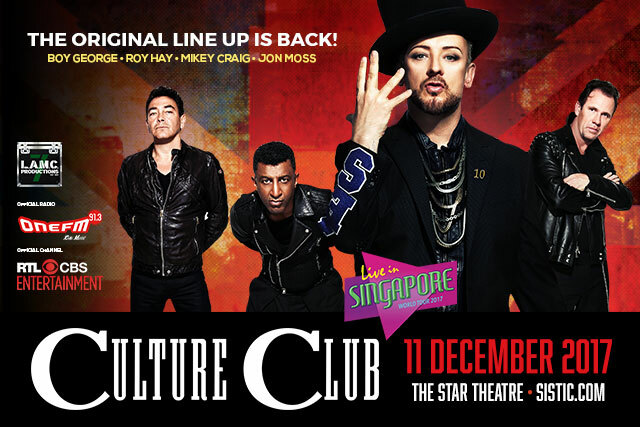 Culture Club is touring once again and they’re bringing their classic hits to The Star Theatre at Star Vista on 11 December 2017 for one-night only! With their hit singles such as “Do You Really Want To Hurt Me“, “Karma Chameleon“, and “I’ll Tumble 4 Ya“, Culture Club has sold over 50 million records worldwide since 1981. Led by their iconic frontman Boy George, the current lineup includes Roy Hay, Mikey Craig and Jon Moss. Ticket prices range from $138 to $248, only on Hapz! Don’t miss this iconic 80s band and grab your tickets now! This birthday party is an homage to the music collective founded and run by local DJs weelikeme and KiDG. 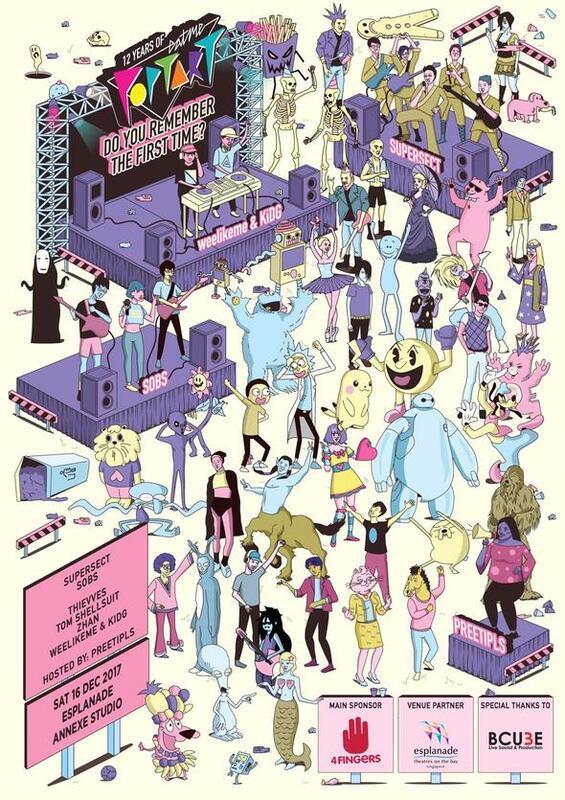 The event will be hosted by viral Youtube star Preetipls and headliners will include Supersect and Sobs. Other DJs at the event will include Thievves, Tom Shellsuit, and Zhan. From pop to rock, and indie disco to trap, these DJs will be expressing their music range and curious selections before wrapping up the night with a frenzy of anthems and guilty pleasure classics. Tickets go for $35 and can be purchased here. 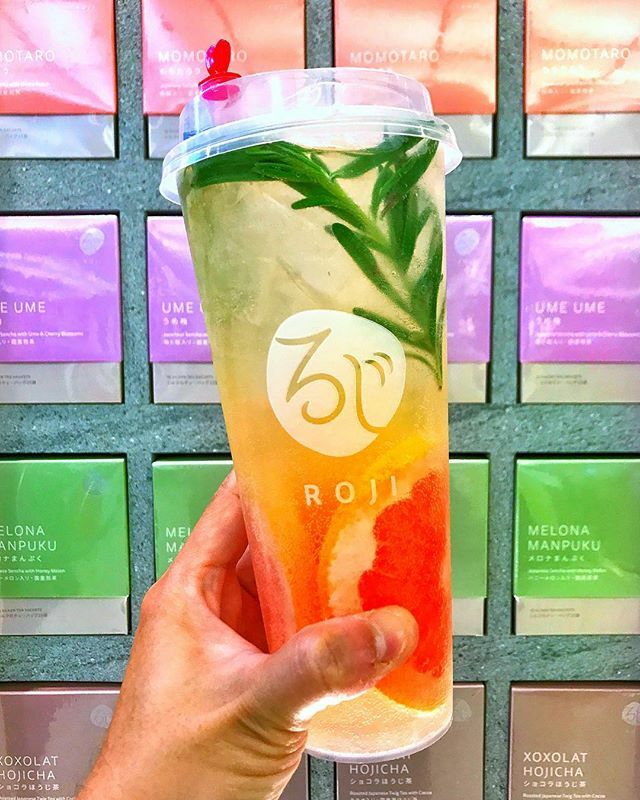 Roji Chaseki is a new tea kiosk at Raffles XChange. This tea outlet serves up artisanal Japanese tea that’s brewed upon order so you know that each cup of tea is fresh. Try the Purple Sweet Potato Iced Lattero ($6.40) if you’re feeling adventurous. The drink is not too sweet and has a distinct sweet potato flavour. You can choose to add on cheese foam for free for a new flavour combination. The teas that they use as their base drinks are pretty unique too. From Ume Ume tea to Momotaro, Milky Popcorn and Melona Manpuku. These are all Roji’s own signature teas. If you’re in the Raffles Place area, this is the tea shop to visit. Tokyo Milk Cheese Factory, Japan’s number one cheese cookie brand is here and they’ve opened their first outlet at Raffles City Shopping Centre! At first glance, it looks like a shop that’s just selling cookies but you’d be glad to know that they sell soft serve ice cream too. There are 2 flavours, Milk and Cheese. The Milk ice cream tastes pretty normal but the Cheese ice cream is a salty-sweet combination that’s surprisingly light and is the one that you should go for. 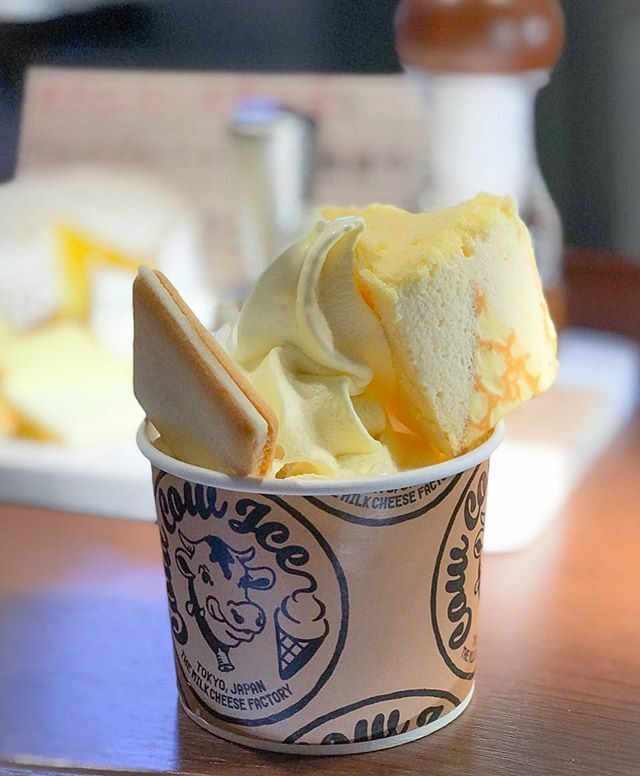 You can choose to have your soft serve in a waffle cheese cone, or opt for the Cow Cow Sundae ($8.50) which comes with a mixture of Milk and Cheese Ice cream, a Salt and Camembert cookie, and a slice of their signature Milk Cheesecake. It sounds like a lot of dairy but it is not cloying and the different textures make this sundae an absolute delight to eat. If you’re not feeling dessert, you can check out their selection of cheese cookies. Choose from Salt and Camembert, Honey and Gorgonzola, and Porcini and Gouda flavours. The quality of the cookies are the same as the ones you buy in Japan. It’s no wonder that they are Japan’s number one cheese cookie confectionery. With so many events happening this December, there’s something for everyone! Do you know which event you’re going for?